Quintessentially British design and exquisite craftsmanship combine with the vintage-inspired Emmy London collection. 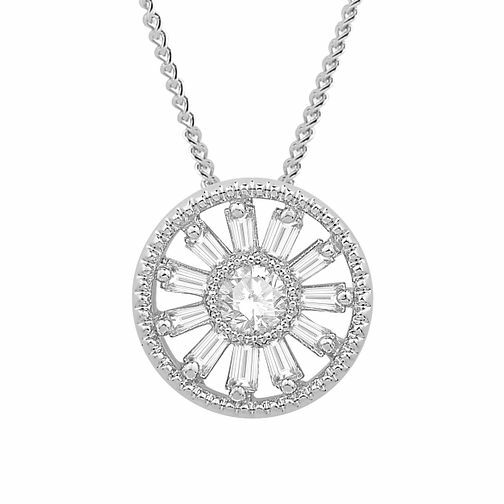 Elegant and alluring, this 9ct white gold pendant features gushing detail in a carefully cut circular design. A round cut diamond lies in the centre of the pendant and baguette cut diamonds line the outer loop with immaculate precision. The beautiful Emmy London logo features at the back of the pendant.